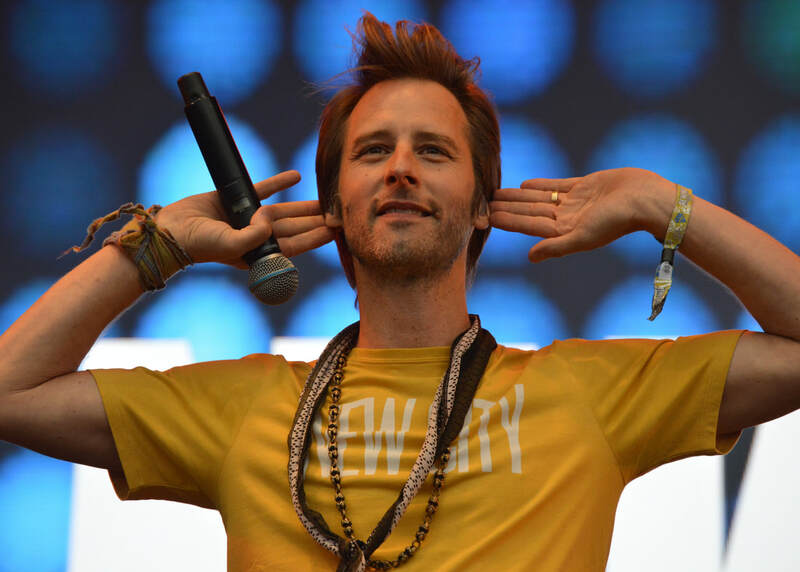 Fame doesn’t come much faster or burn any brighter than it did for Chesney Hawkes. Thrust into the limelight as the title character in the box office smash movie ‘Buddy's Song’, and with a global number one hit in ‘The One And Only’, the then 19 year old singer was inescapable in 1991. Almost thirty years later, the Windsor-born performer is still writing and recording. With a new album due in 2019, we caught up with Chesney to talk about his success, and working with some of his heroes. Not the same as all the rest; Eamon O’Neill. Hi Chesney, how are you today? Yeah, great actually today. I’m in a good mood. I’ve been with Mr. Kershaw for a couple of days in the studio. So you’re rekindling that musical romance? Well, it didn’t really need rekindling. It never really went out, that one, so yeah. Nik Kershaw wrote ‘The One And Only’, which launched your career; what was it like for you when you were presented with that song? For me, I was more excited about meeting Nik Kershaw than about recording the song. I mean, I loved the song, but I was a huge Kershaw fan as a teenage boy, so I was just very, very excited to meet him. When it was first brought to the project, there was a lot of people involved in the project, from film producers, and Roger Daltry was involved and he was very much a part of it, there were record producers, the record company, everyone around; nobody really wanted to record it, because it was an outside song. So, it took a little bit of persuasion. So the song jumped out at you? Yeah, it’s one of those songs, isn’t it? But in hindsight, it’s always hard to say; you don’t know what the magic juice is to make a hit record. The song was a monster hit; what was it like having a number one single like that? Well, I was very young, I was only 19, so I literally got transported from playing piano in the corner of a pub – which is what I used to do – to headlining arenas and stuff like that. It was literally, kind of an overnight thing. It was pretty mental. And you’ve put it right, it was like being in the eye of the storm, it really was. I look back at those times like; “Wow! Did that actually happen to me?” I mean, sometimes it would be like seven countries in one day, like, being whisked around. I was properly in the machine. With so much attention, was it difficult to take in, on a personal level? Your life is not your own when you’ve got that kind of fame. I didn’t like that part of it; I didn’t like not being able to just go down the pub with my mates. I just couldn’t do it. You become a little bit of a recluse when you’re not working. I used to come out of my parents’ house in the boot of my mum’s car and stuff like that, just to kind of avoid the fans outside. Yeah, it was pretty mental, that side of it. But, on the other side, it was like every young boy’s dream; there was screaming girls everywhere. My brother was the drummer in my band, so we did it together, and that part of it was really fun. It was an exciting time. As you mentioned, you got to work with The Who’s Roger Daltry on the movie. Yeah, he had a big involvement, with my dad. To be honest with you, there’s only certain bands and certain artists that have gotten to that kind of echelon. I mean, there’s The Beatles, The Stones, Led Zeppelin and The Who. They’re kind of in their own kind of echelon, aren’t they? So, he’s a legendary rock star, and I was 17 when I met him, and just being with Roger, he took me under his wing, and showed me a thing or two. I learned a lot from him, I really did, and we’ve stayed in contact ever since. I still count him as a friend. That’s a real crossover from the 70s / 80s / 90s with Roger Daltrey, Nik Kershaw, and you working on one project. Well, my dad [Len 'Chip' Hawkes, of The Tremeloes] was massive in the 60s as well! Did it feel that you were carrying on the torch, in that case? Well, it did feel a little bit like that. But of course, when you’re that young, you just expect stuff like that to happen. Because I grew up when my dad and his friends were all 60s superstars, and my dad had fame in the 60s, and I guess because I’d grown up with that, I thought that this is the way it happens. So when it happened to me, it wasn’t like a huge, taken by surprise thing, it was like; “Okay, so this is me doing my thing now”. On the other side of that, was there a big crash, following the success? What goes up, must come down, right? Yes. That was difficult to deal with, because I didn’t expect it, so there was some difficult times for me there. But having said all of that now, I’m really glad it happened the way that it happened. I’m happy to have experienced the highs and lows of the business and of life in a way, and I’m very happy with where I am now. I’m a bit more balanced than I probably would have been if that kind of success had carried on; my priorities are straight, and I’ve got a beautiful family and I get to still make music and make money out of music, so what more could you wish for? 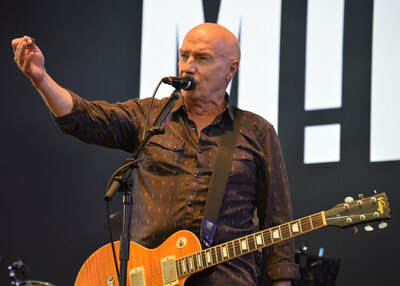 You’re at Rewind South today, and you’re performing with Nik Kershaw; is it nice to be a part of that? Finally, what’s happening going forward for you? I’m working on new music. I’ve got hopefully a new album coming up in the new year – that’s want I was working on with Nik over the last few days. This will be for me. I have had songs on Nik’s albums over the years, which is an absolute honour. What can fans expect from the album? This album has been a funny one because, I wanted, originally, to make a country album because I had the roots. I used to live in Nashville when I was a kid, and my dad made a country album in the mid-80s, so I have that in me. But, I felt a little bit restricted when I started to write and produce, and I’ve done back to pop, actually. So this album, I think is going to be a pop album. 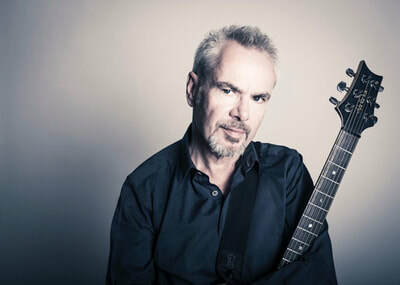 INTERVIEW: Nik Kershaw On Live Aid & More. 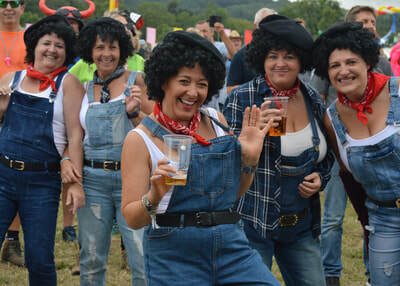 Rewind Festival Celebrates a Decade of Retro 80s Revival. Recalling Stepping Into Gary Moore's Shoes In Thin Lizzy, We Chat To A "Petrified" Gary Moore.